The Extraterrestrial Hypothesis: Symptom or Pathology? David Clarke in his How UFOs Conquered the World: The History of a Modern Myth refers to the “UFO Syndrome”, “the entire human phenomenon of seeing UFOs, believing in them and communicating ideas about what they might be” (12), what I have called “ufophilia” (and am tempted to term, sometimes, “ufomania”). 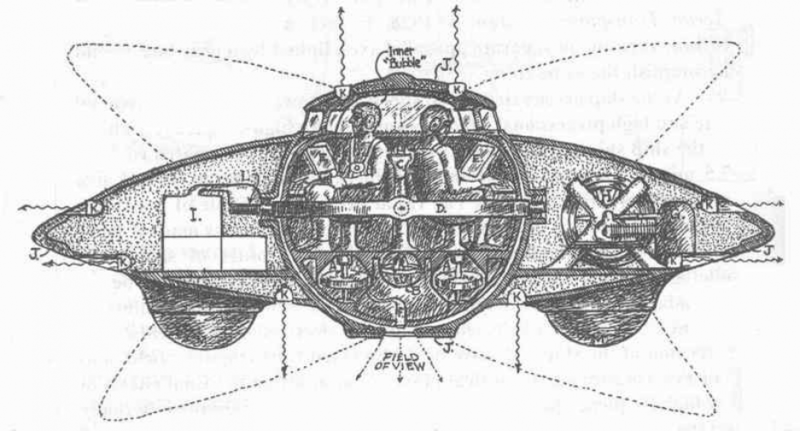 Even before George Adamski published his story of meeting a man from Venus, a latter-day Lord of the Flame, in 1953, and even before Project Sign’s famous Estimate of the Situation, desperate to explain the recalcitrant mystery of high-performing aeroforms intruding on American airspace, the public imagination had already ventured that Flying Saucers might be spaceships from another planet populated by Extraterrestrial Intelligences (ETIs), an explanation for UFO and close encounter reports that later came to be called the Extraterrestrial Hypothesis (ETH). Though the notion of ETI was already in the air, the most notorious example being Orson Welles’ 1938 The War of the Worlds radio broadcast, the idea as such runs much deeper, and, in its ufological guise as an element of the UFO Syndrome, possesses graver implications. It was possible, I knew, that the spacemen might look grotesque to us. But I clung to the stubborn feeling that they would resemble man. That came, of course, from an inborn feeling of man’s superiority over all living things. It carried over into the feeling that any thinking, intelligent being, whether on Mars or Wolf 359’s planets, should have evolved in the same form. Keyhoe, here, is either ignorant (which he certainly seems to be concerning evolution) or disingenuous. The “stubborn feeling” that the ET pilots of the flying saucers “would resemble man” is hardly “inborn”. A longstanding thesis among thinkers concerned with the ecological crisis is that the thoughtless abuse of the natural world by, especially, Western industrial society is aided and abetted by its Judaeo-Christian heritage. Famously, in Genesis, man is made in God’s own image (I.26) and given dominion over creation (I.27) (an idea mocked with a theosophical flavour in Yeats’ early poem “The Indian Upon God”!). This (what a philosopher might term ontotheological) anthropocentrism is the source of Keyhoe’s feeling and more importantly it serves to reinforce capitalism’s assumption that anything and everything on (and off!) the earth is a potential resource to be exploited for profit. There’s a strikingly illustrative scene in the film Clearcut (1991). The manager of a logging company is abducted by an ambivalent character, who is either a Native militant or, more interestingly, a nature spirit come to revenge the ruthless clearcutting of the forest. The manager is tortured in ways that mirror the loggers’ treatment of trees and, at one point, the militant holds the manager over a cliff overlooking a breathtaking natural vista, asking him, “What do you see? What do you see?” to which the manager answers, desperately mystified by the question, “Nothing!”. The fateful confluence of the Judaeo-Christian ontotheological anthropocentrism and the rapaciousness of capitalism blind humankind to both nonhuman intelligence and the innate value of nonhuman life. I have argued at length elsewhere that any unprejudiced reflection on and consequent non-anthropocentric conception of intelligence radically dethrones and decenters whatever human intelligence might believe itself to be. It might appear ironic, then, that The Anomalist can share links to UFOs and Contactees in the same space as others to new discoveries in the realm of plant and animal intelligence. Another irony is discernible in the concerns expressed by both the Space Brothers and other ETs. If the ETH is underwritten by a religiously-inspired anthropocentrism that in turn supports the economic system whose activity has in a matter of hardly two centuries resulted in the latest mass extinction, then the striking anthropomorphism of ETs might be said to be an imagination at the very least consistent with this catastrophically destructive social order. However, as is well-known, the Space Brothers of the Contactees landed to warn us of the dangers of atomic weapons, while abductees or Experiencers report being shown distressing images of nuclear war and environmental destruction; there has been from the start an environmental/ecological dimension to ET encounters, consistent with the view that the reports are inspired by the anxieties engendered by technoscientific development in so-called advanced societies. what kinds of whales they can kill? Here, Snyder reminds us that the relation between religion and economy is a complicated question; however much the Judaeo-Christian idolization of the “human form divine” is harmonious with the profit-driven and otherwise mindless exploitation of the natural world, religious views that, in this case, are overtly concerned with non-human life exist, however uneasily, alongside such insensitive destructiveness. There is, moreover, an analogous paradox in certain aboriginal worldviews, which, on the one hand, speak of “the flying people” (birds) and “the crawling people” (snakes) and that have been the inspiration for radical ecological initiatives, such as the push to give rivers and ecosystems rights under the law, while on the other, their understanding of the UFO phenomenon invokes stories of Star People, who, at first glance, seem to be as humanoid as any Venusian. These paradoxes pose new questions and open curious avenues of investigation regarding the globality of the UFO phenomenon and the equally global extent of the society whose technoscientific character the ETH might be said to reflect and affirm. The theme, as poet Walt Whitman would say, has vista. The belief in ETI is itself paradoxical in character: it is both widely-held (by more than half the population in the US, UK, and Germany) but thought unserious, fit only to inspire light entertainments or crackpot obsessions. Yet, as the psychoanalytic study of the trivial shows, the margin reflects the deepest concerns of the centre; indeed, that these concerns are exiled as flaky is precisely a sign of their gravity. The ETH symptomatically expresses profound aspects of human self-regard that have equally grave consequences for social behaviour. I was reminded that just a year ago I had read this opinion piece by William B. Gail, a founder of the Global Weather Corporation, a past president of the American Meteorological Society, and the author of Climate Conundrums: What the Climate Debate Reveals About Us. In it, Gail proposes that the ways the climate has and will continue to change from the patterns that nurtured civilization during the Holocene render the earth unrecognizable, requiring that our descendants along with those of all the other plant and animal species must learn to inhabit a radically different planet whose climactic patterns have not only changed but become chaotic and unpredictable. Gail’s speculations here are one might say “temporally entangled” with those I set out in “The Anthropocene as the Beginning of our Descent to Eaarth”. I share them here for those for whom the more poetic logic of my own recent post might be too wild and who might find Gail’s more down-to-earth musings more grounded. Neuropsychologists Gabriel de la Torre and Manuel García, from the University of Cádiz, in an article recently published in the journal Acta Astronautica, set out to “explain how our own neurophysiology, psychology and consciousness… play a major role in [the] search [for] non-terrestrial civilizations … and how they have been neglected up to this date.” (How the researchers managed to neglect the not irrelevant work of Jacques Vallee (from 1990!) or that of Susan Palmer and myself (from nearly twenty years ago) is itself an interesting case of the phenomenon they are investigating….). Their research concerns inattention blindness, like that demonstrated by the Invisible Gorilla Experiment of Chabris and Simons. Following their example, de la Torre and García had 137 subjects distinguish artificial structures from natural features in aerial photographs, one of which contained a tiny gorilla. The complement to attention blindness, the mind’s tendency to perceive pattern in chaos (pareidolia), was addressed as well. The implication of their research is that the SETI focus on electromagnetic signals, in either the visible or invisible spectrums, primes it to miss those evidential “gorillas” that would indicate non-terrestrial civilizations. The pair goes on to propose a tripartite classification of such civilizations, all of which, in general, are characterized by their varying degrees of mastery over forms of matter and energy, whether quantum, gravitational, or dark. What is ironic is that de la Torre and García have fallen prey to the same prejudices that keep SETI researchers and proponents of the Extra-Terrestrial Hypothesis concerning the origin of UFOs from perceiving the intelligent life that swarms around us. As I’ve written elsewhere these prejudices are that intelligent life is intelligent in the way we ourselves conceive ourselves to be, cultural, tool-using creatures capable of mathematical thought and cognizing natural laws that are then exploited technologically, and that such civilizations follow universal paths of linear development toward increasing sophistication, knowledge, and mastery over nature. These prejudices are, arguably, the reification and projection of the history of one culture on earth, namely the one that calls itself the developed world, a culture resulting hardly from a natural, cultural evolution (the pairing of which adjectives should be illuminating enough) but from a highly contingent history that could have as easily followed countless other paths. In terms of “civilization”, the founder of ethnopoetics, Jerome Rothenberg, makes a pertinent observation in the Pre-face to the first edition of his epochal assemblage Technicians of the Sacred (1967): “Measure everything by the Titan rocket & the transistor radio, & the world is full of primitive peoples. But once change the unit of value to the poem or the dance-event or the dream (all clearly artifactual situations) & it becomes apparent what all these people have been doing all those years with all that time of their hands.” When one considers that the oldest, continuous society on earth is not China but that of the Australian Aborigines, whose oral poetry sings of a ground sloth extinct 60, 000 years, the variability if not relativity of technical ingenuity becomes apparent. Intelligence, as well, is neither a simple, nor exclusively technical, nor even human attribute. Some human beings are breath-taking coders, but their smarts are outwitted by the ability of a chickadee to remember where it’s stashed its seeds. Indeed, the attempt to imagine nonhuman intelligence, like the one Denise L. Herzing undertakes in her 2013 paper “Profiling nonhuman intelligence: An exercise in developing unbiased tools for describing other ‘types’ of intelligence on earth” expands intelligent life to include dolphins, octopus, insects, and even some bacteria. Even fruit flies can be shown to make decisions. I leave it to interested parties to google “panpsychism”…. An aspect of the tale of Narcissus often forgotten or missed is that Narcissus failed to recognize himself in his own reflection. Like Narcissus, SETI researchers and their critics de la Torre and García and the proponents of the ETH fail to recognize that their speculations concerning intelligence and civilization are merely projections of humankind. Despite Darwin and the libraries of research conducted on nonhuman and even plant sentience and intelligence, the reigning prejudice still seems to be what philosophers would call that “ontotheological” one, that Man is made in God’s own image. Once we disabuse ourselves of this mere speciesism, then we see that SETI is merely (“mirrorly”) a search for ourselves and that this prejudice blinds us to the mind-boggling richness of nonhuman life, sentience, and intelligence already sharing this planet with us, at the same time it perhaps mercifully spares us realizing the heart-breaking suffering we impose on innumerable other forms of life. Perhaps it is precisely because of the latter realization we refuse to recognize a sentience like our own in other living beings and turn our gaze from the earth to the stars at our own and increasingly the biosphere’s peril.